Hey guys! Got a few things up for offers today. 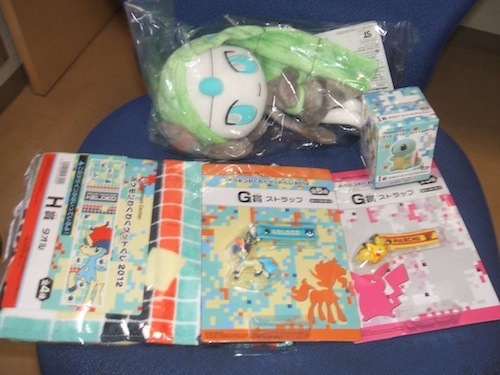 These include Blastoise and Erika TFG, Slowpoke line zukan and a Plusle&Minun figure diorama from Tomy. Got some old stuff also that I'm trying to rid off for cheap so check it out!! bw6 freeze bolt + cold flare card sales! I enlisted the help of my boyfriend to open the boxes with me (he hadn't opened a pack since fossil in America... so YEAH it's been that long XD) and he ended up pulling UR Golurk and SR Bianca from the half pile of packs I gave him to open. I also pulled an SR Keldeo EX, but I still managed to miss a few cards in each set. Anyhoo, onto the sales! 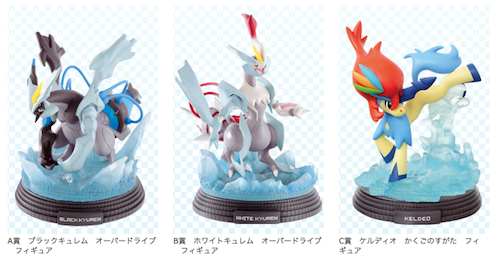 There are tons of extras including Celebi EX, Cresselia EX and White Kyurem EX! For those who participated in the super quick stamp GA (check here if you're not sure if that's you), I received my SMJ package, but it did not include our GA items. SMJ simply left them off in storage. So, they have not shipped yet. I have just requested shipping on them, so hopefully they should be here within a week or so. SMJ has waived the shipping cost, so this payment is free. As anyone who was watching this post today knows, there was a big conflict today between myself and SMJ. Around the end of the day, Nick (the owner of SMJ) commented on this post in response to the exchange I had with who I assume is another SMJ employee. You can read his comments here and here, and I am leaving all of the emails up below the cut so that you can all evaluate this transaction on your own judgment. - I am still probably going to close my SMJ account. - The person I interacted with over email was very unprofessional and had no sense of customer service, and I hope SMJ will not represent themselves this way in the future. - Nick seems very kind and reasonable in the comments, so this is hopefully just one person and not all of SMJ that is behaving this way. - There are a LOT of horror stories about SMJ in the comments, so other people have had this experience as well. However, other people have also expressed that they have never had problems with SMJ. So it is up to you to decide from the information whether you feel comfortable using them. - allinia has written a beautiful recommendations for Noppin in the comments, which you can read here. Without further ado, these are the emails. I felt this needed to be put out there, because SMJ is a big name middle man and many newer members may begin using them without knowing their reputation fully. Some members have had good experiences, and some members have not. Because Nick went out of his way to explain the situation to us, I felt that I should not present my own opinions outside of the substance of this interchange. I am leaving all comments on this post up (unless a mod asks me to or decides to delete some) as well. 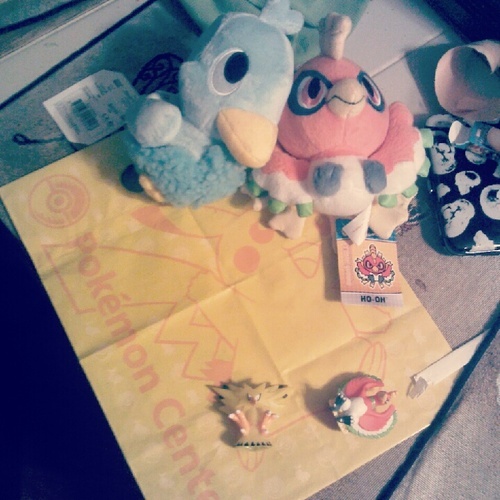 Still searching for a Venusaur charm, or a metal keychain. Willing to trade charms, or just buy outright now. Comment or send me a PM to work out a deal! Apologies for a boring post! Recently I applied for sales permission so that I can sell items that I have weeded out of my collection. And once I get skilled enough, I would then like to offer up custom frame art and plush commission service! I have not gotten sales permission yet but I would like to understand what it takes to become a successful seller and custom artist! And this is a long shot, but does anyone have the following plushies they are looking to sell? Really wanting these lil guys! I've been saving for a bit so figured I'd ask if anyone had a few things I've been wanting for a while. 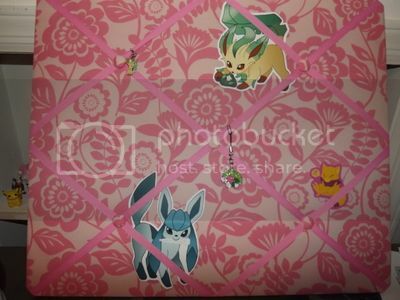 I was just wondering if anyone had a set of the 2009 eevee canvas line that they would be willing to sell. Depending on the condition, I'd gladly pay $800 for the set. Gain a fair chunk of money and make an eevee lover extremely happy! Let me know if you're interested in selling. 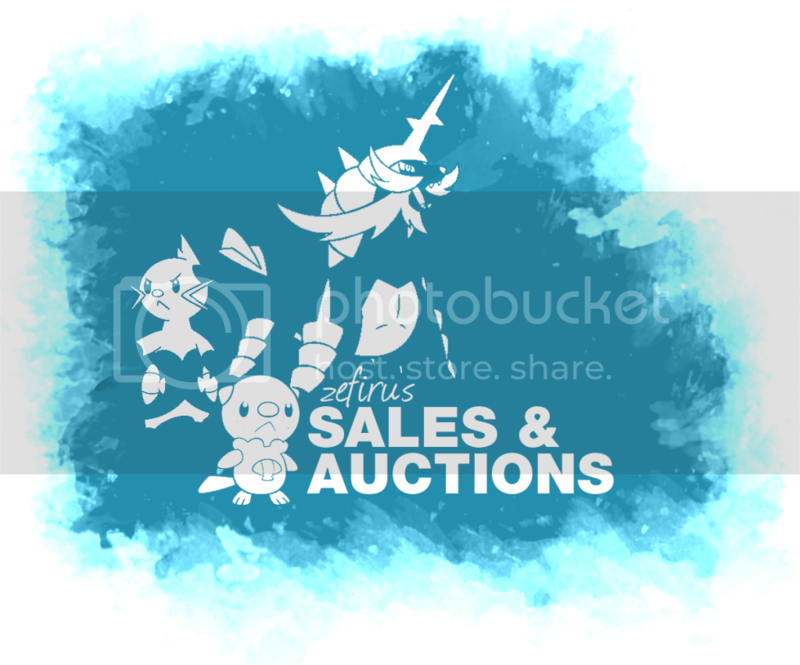 It's auction time again! This time around I'm putting up what's in my opinion one of the most awesome bootlegs out there, the Giant Posable Blugia! Next is a HUGE wants post, Once I figure out how to make one. Seeking this Pokemon 4 pack dvd !! Just a quick reminder that my pan sticker auctions are ending in around 4 hours!!! Click on the pic or here to go to the post! Greeting community, I come here today with a question as to if the following are legit items? I've been in the market for these for a long time, and stumbled on these while searching on ebay.. 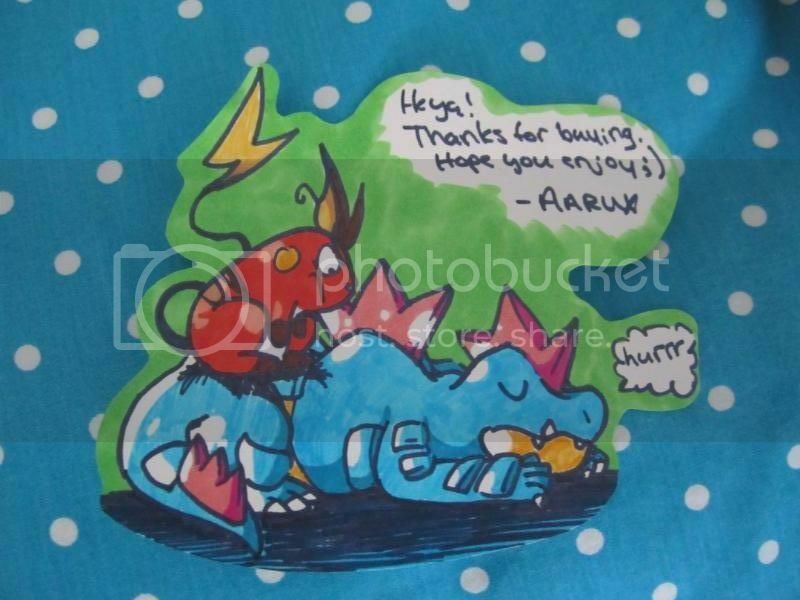 I don't think I've heard of a bootleg Blaziken, but I have seen a bootleg Swampert for direct sale on the community. Do these seem legit? Any help is appreciated. 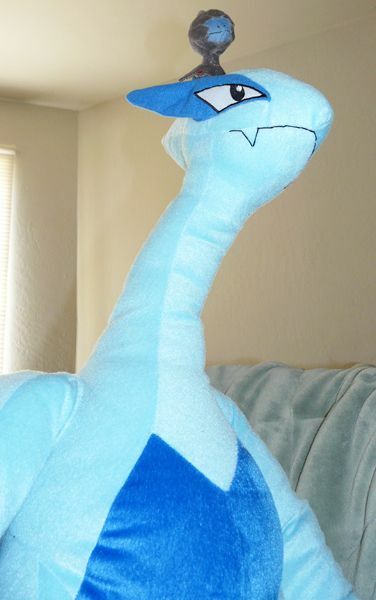 Swampert Pokedoll, These are pics of the same one. The big bad White Kyurem Lotto figure came home with me! Alas, I wanted a Keldeo, so this big baby is up for auction. Now, some more neat items for direct sale! This can all be combined with my *last pickup*! Also, my permanent sales. Reminder: my last pickup for the summer (since I'll be temporarily going back to my country in Aug/Sept) is set for the 23rd of July (items will be shipped around Aug 1st). 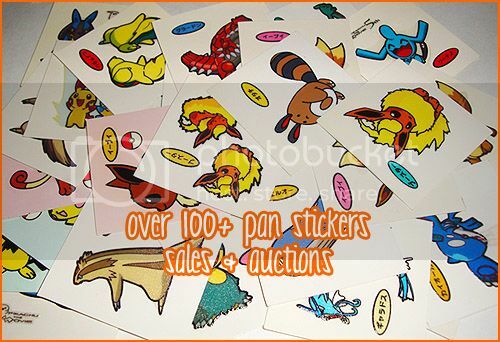 Well, we didn't really raise enough; but the seller was kinda enough to sell us the ones that had bids! Woop woop! It's been a really great time for gatr collecting lately!! ALL PACKAGES from my last sales/auctions have officially been shipped!! 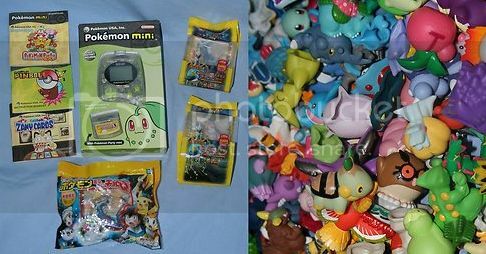 Today I bring you all an auction for the most adorable Shinx Pokedoll! I also have some small very small sales (all I can get rid of before I need more packing material, haha XD). Check below the cut for details!